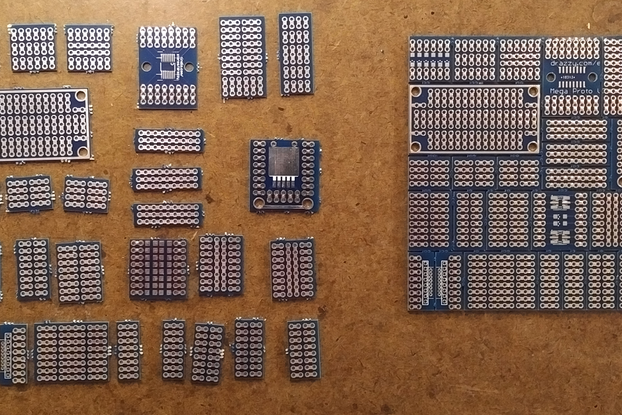 I've always preferred to build prototypes using "solderable breadboard" style prototyping board, which has holes tied together in groups of 3-4. 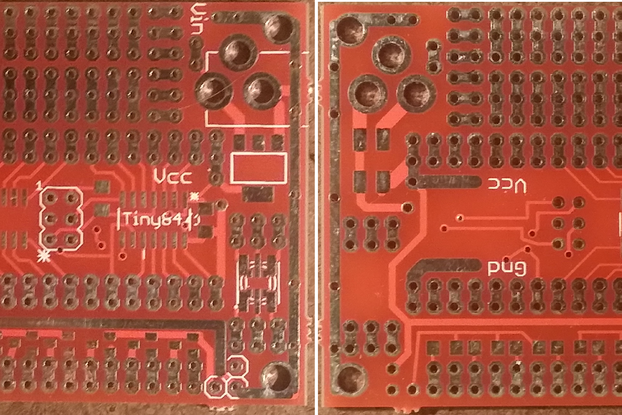 I offer three different versions of this 2"x4" prototyping board, with varying amounts of SMD footprints. 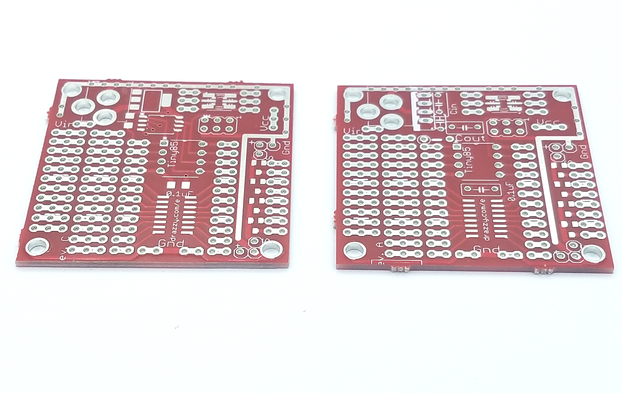 All of these are manufactured on high quality 1.6mm thick FR4 material with lead-free HASL surface treatment, double-sided with plated through holes. 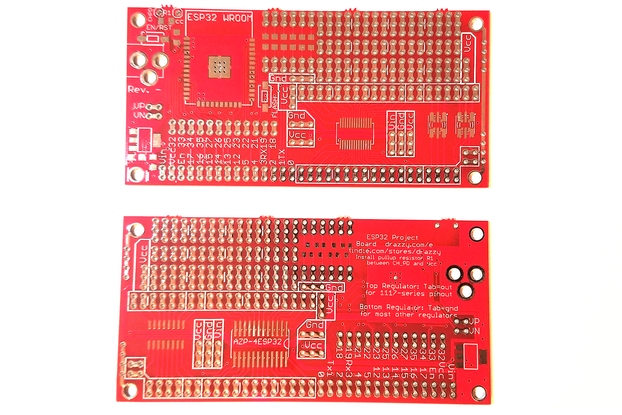 Compare to other prototyping board, which is often made on low quality single-sided phenolic resin with no surface treatment in the copper - we wouldn't use that garbage in our projects, and neither should you.
! 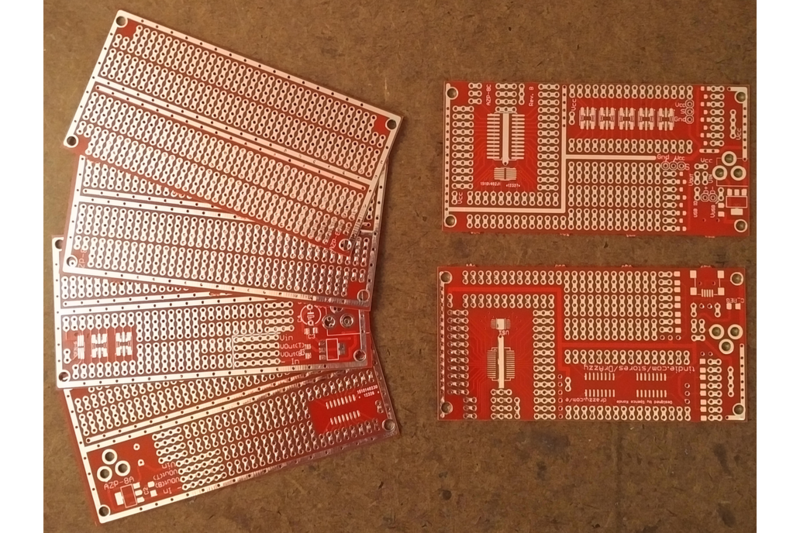 [2x4" through-hole prototyping board](http://drazzy.com/e/products/img/AZP-8.jpg "2x4" through-hole prototyping board") Solderless breadboard, plain, simple and well made. 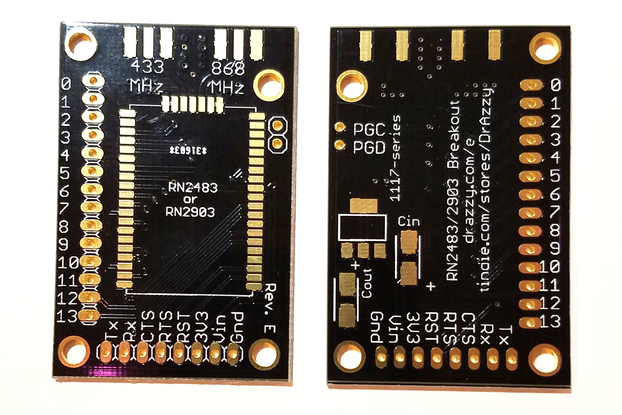 Not every project requires working with SMD components - and not every maker likes working with them. 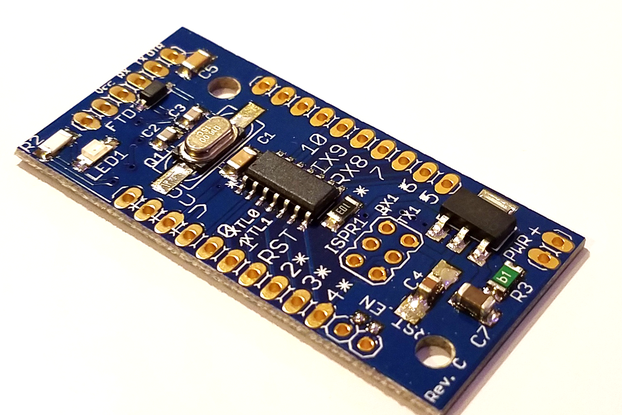 Whether your project simply calls for a lot of through-hole parts and passives, or you aren't equipped for soldering SMD components, this is the board for you!
! 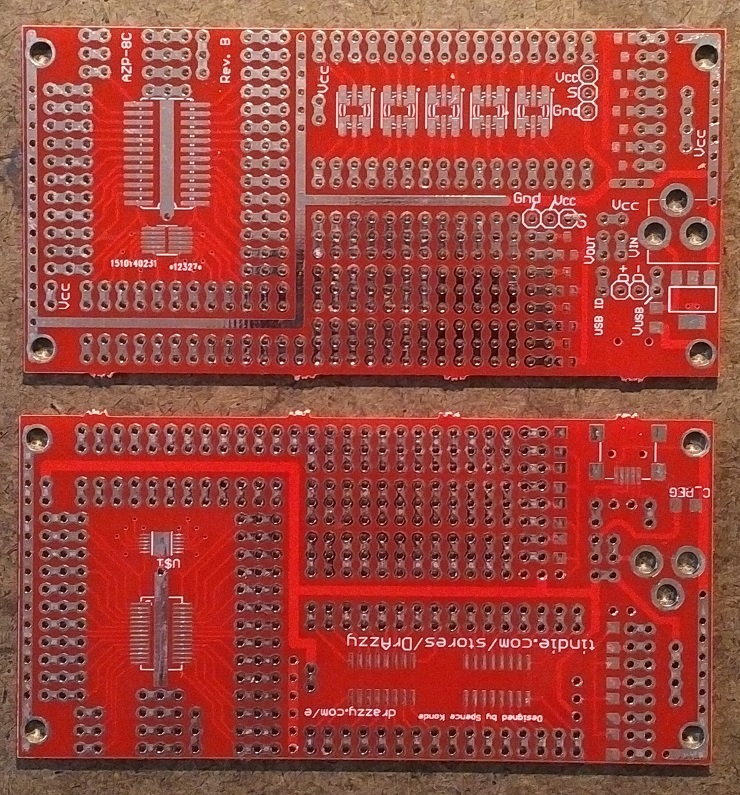 [2x4" through-hole prototyping board](http://drazzy.com/e/products/img/AZP-8A.jpg "2x4" through-hole prototyping board") This general purpose project board provides a large through-hole prototyping area, along with a small power supply section (featuring two regulators), and a small SMD prototyping area, with pads for 1 SOIC-16 (or 2 SOIC-8) part, or - on the other side) 2 5050 PLCC-6 LEDs or SOT-23-6 and one DFN-6. 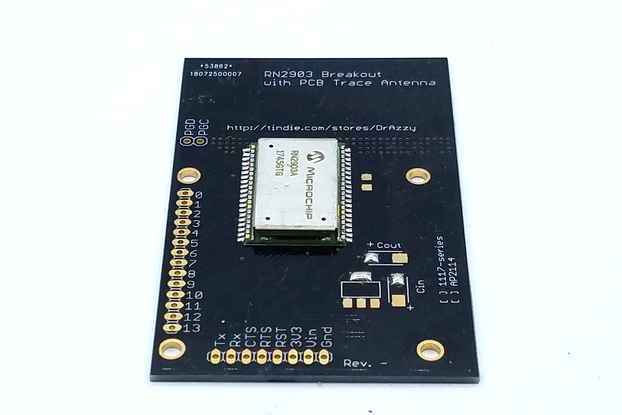 DFN-6 is attractive because there are a number of interesting sensors (mostly light sensors) that come in that package, many for which breakout boards are not available (or not available at reasonable prices). 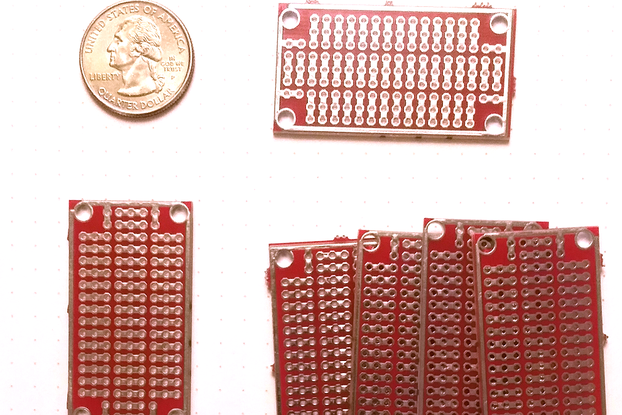 Most of board dedicated to through-hole prototyping space, with pins in groups of 2, 3, and 4. 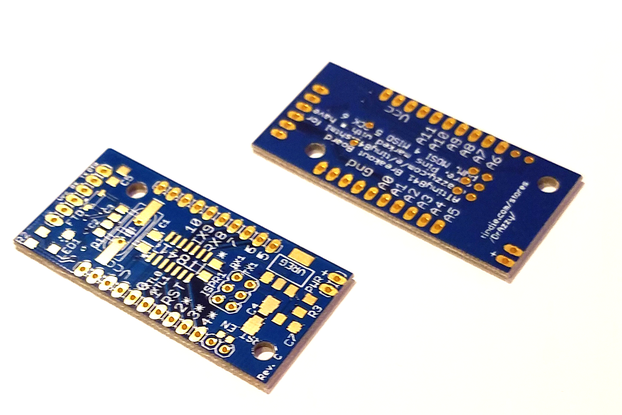 Now building prototypes and one-off projects with SMD components is as easy as with through-hole parts! 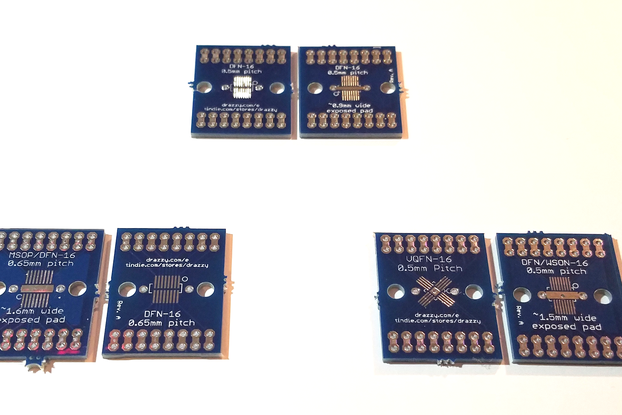 This general purpose hybrid project board combines groups of through-hole pins (in rows of 2 and 3, with exposed copper between them) with exposed ground and distributed Vcc traces with the most popular surface mount footprints, broken out to through-holes. Holes for a center positive power supply barrel jack are provided (or wires can be soldered onto the holes), connected to pads for a SOT-223 regulator. The Vcc trace is not committed, and could be connected to Vin, Vusb, or Vout (or anything else). 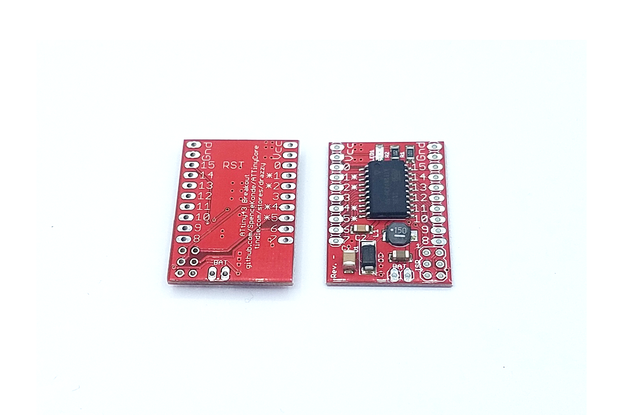 Pads are provided for a mini-USB connector as well - I have found micro-usb connectors to provide insufficient durability. SOIC24W/N on front, SSOP-28 on back. 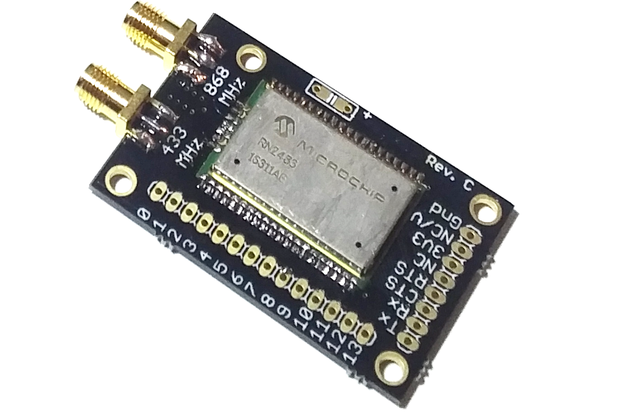 SSOP-28 shares 2 pins with MSOP-12 outline. Multiple smaller SOIC or SSOP parts can be placed in one of the larger footprints. SOIC/SSOP section contains exposed trace down center for connecting to parts that use an exposed pad. Note that this does not provide heatsinking like it would if it were attached to a ground plane. Parts expecting an exposed pad should be used below their rated power levels and/or additional cooling (heatsinking etc) should be used.